It's today's second END OF SCHOOL offering. 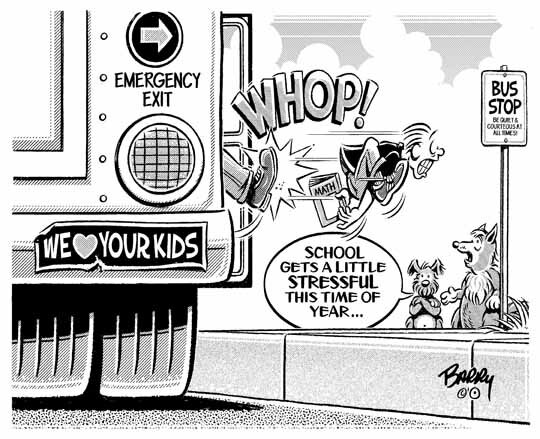 This one focusing on certain unsung heros of the school year, your school bus drivers — the end of each school year being a verrrry special event for them! Suddenly, their school-year-long responsibilities can take a break — i.e., once they've off-loaded the stress they've hauled around for 9 months. And so, the toon attached hereon. Here's wishing you a stress-free week ahead — as if there is such??? NEXT: On to MEMORIAL DAY!